Although Navy Day in the United States has not been officially observed since 1949, October 27 is still widely celebrated as the holiday of the United States Navy. 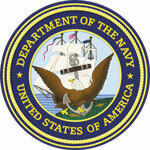 The first Navy Day was held in 1922 by the Navy League of the United States. They chose the date of October 27 because it was the birthday of Theodore Roosevelt, who had a great interest in naval affairs and even served as an Assistant Secretary of the Navy. Besides, on October 27, 1775 a special committee of the Continental Congress issued a report favoring the purchase of merchant ships. On this day, the U.S. Navy used to send its ships to various port cities. In 1945, Navy Day was celebrated with special pomp and pageantry. In 1949, the U.S. Department of Defense was created and its secretary Louis A. Johnson directed that the United States Navy's participation would occur on Armed Forces Day celebrated on the third Saturday of May. However, the Navy League continued to organize events as before because, as a civilian organization, it was not affected by the directive. In the 1970, it was suggested that October 13 is defined as the new date of Navy Day as the Continental Navy was formed on October 13, 1775. The date was officially changed, but October 27 is still generally celebrated.